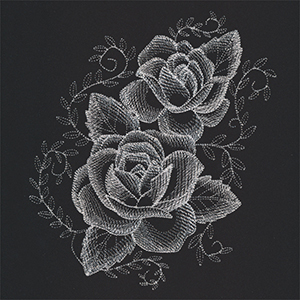 Create sheer magic when you embroider on translucent fabrics such as organza or chiffon! This look is simple to achieve, but it takes a few special tricks and techniques. Follow along to learn how! When embroidering on sheer fabrics, it's best to use light, open embroidery designs; avoid designs with stitch-filled areas. This Sheer Beauty Roses has lots of light open fills and delicate details that blend into the sheer background fabric. It's important to use a heavy weight water-soluble stabilizer when stitching on a sheer fabric (similar to what you'd use when stitching freestanding lace). 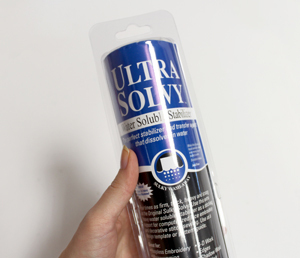 We're using Sulky Ultra Solvy. Vilene is another good choice. Before embroidering, pre-wash the sheer fabric on gentle with like fabrics, according to the manufacturer's instructions. 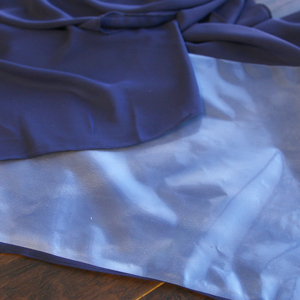 Spray the back side of the fabric with temporary spray adhesive, and smooth heavy weight water soluble stabilizer on the back (we're using Sulky Ultra Solvy). 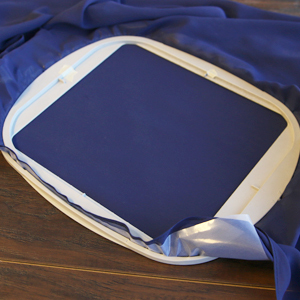 Loosen the embroidery hoops, and hoop the fabric and stabilizer gently, then tighten the hoop screws. If the hoop is too tight at the onset, some hoops styles will damage the delicate fibers during hooping. 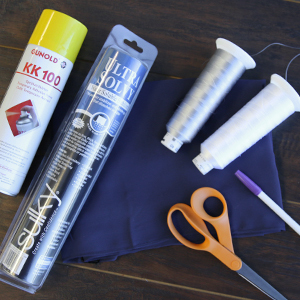 Use clips to keep the excess fabric safely tucked away during sewing. Trim away excess stabilizer, then soak away the rest according to the package instructions. Air dry the fabric. Sheer fabrics with a touch of embroidery are just the thing to create gorgeous and sophisticated fashions and decor!